Published: Dec. 9, 2013 at 03:32 a.m.
(7:55) (Punt formation) M.Koenen punts 30 yards to BUF 20, Center-A.Economos. L.McKelvin MUFFS catch, touched at BUF 20, RECOVERED by TB-D.Goldson at BUF 21. D.Goldson to BUF 21 for no gain (L.McKelvin). Published: Dec. 8, 2013 at 02:28 p.m.
Buffalo Bills defensive back Leodis McKelvin's muffed punt is recovered by Tampa Bay Buccaneers safety Dashon Goldson in Week 14. 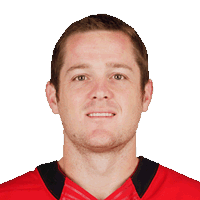 Published: Nov. 4, 2013 at 03:27 a.m.
M.Koenen kicks 63 yards from TB 35 to SEA 2. J.Kearse to SEA 32 for 30 yards (R.Shepard). FUMBLES (R.Shepard), RECOVERED by TB-M.Koenen at SEA 36. M.Koenen to SEA 31 for 5 yards (C.Maragos). Published: Nov. 3, 2013 at 05:21 p.m.
Seattle Seahawks wide receiver Jermaine Kearse fumbles the kick return and it is recovered by the kicker, Michael Koenen.